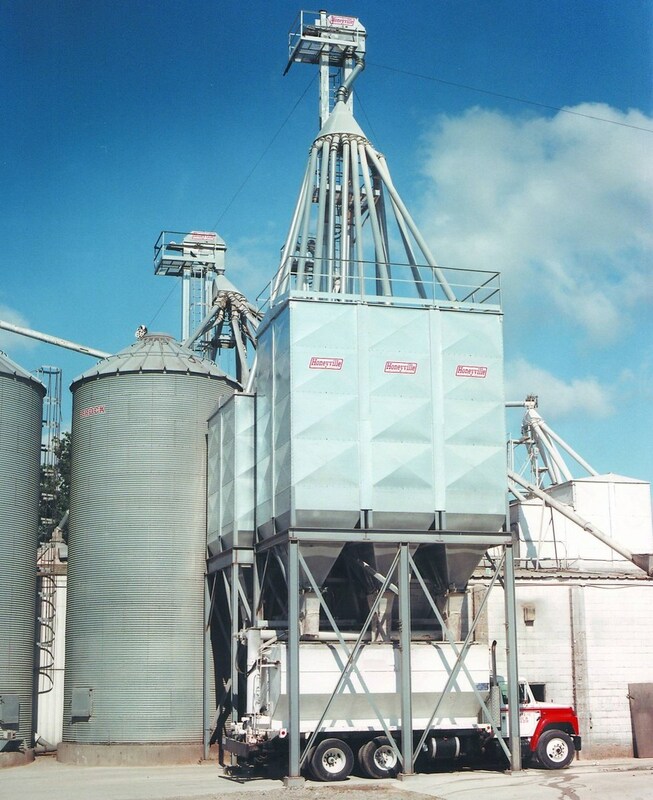 Square Bulk Feed Bins | Honeyville Metal, Inc.
Honeyville Square Bulk Feed Bins provide greater capacity with a lower filling height. 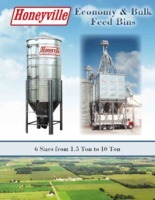 These all steel bins will not absorb fats and moisture, therefore feed comes out as fresh as the day it was put in. 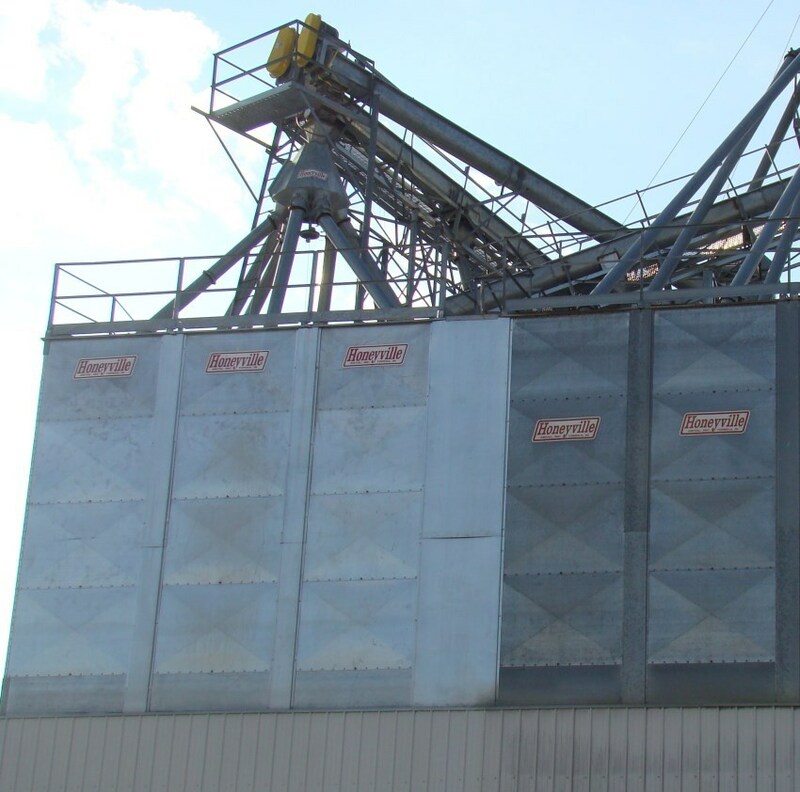 The Bins sidewall panels are manufactured from 18 and 16 gauge G90 galvanized steel. 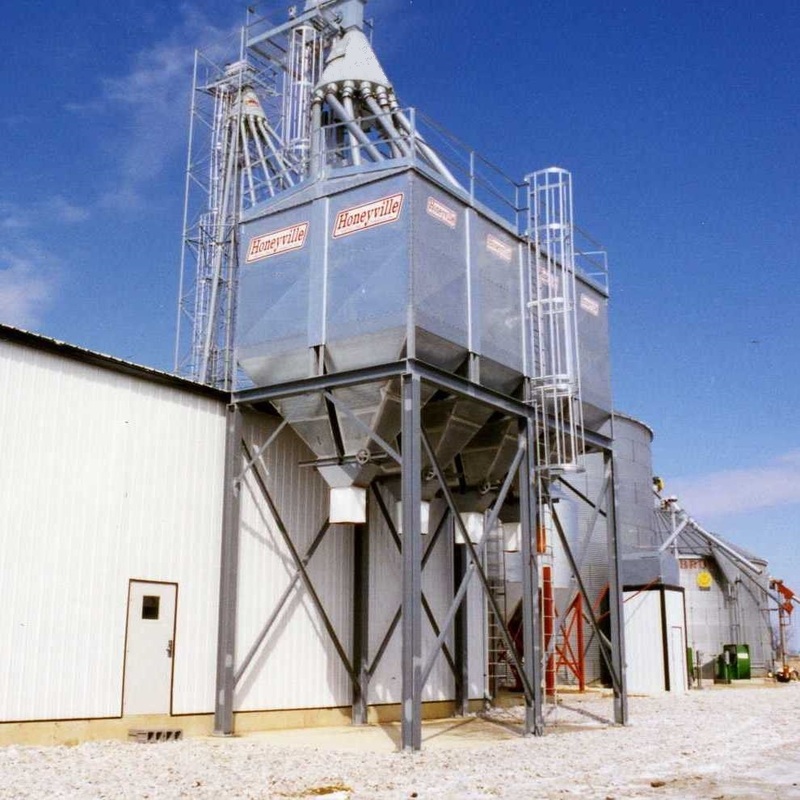 The 60° 4 way hoppers are constructed of 14 gauge G90 galvanized steel. 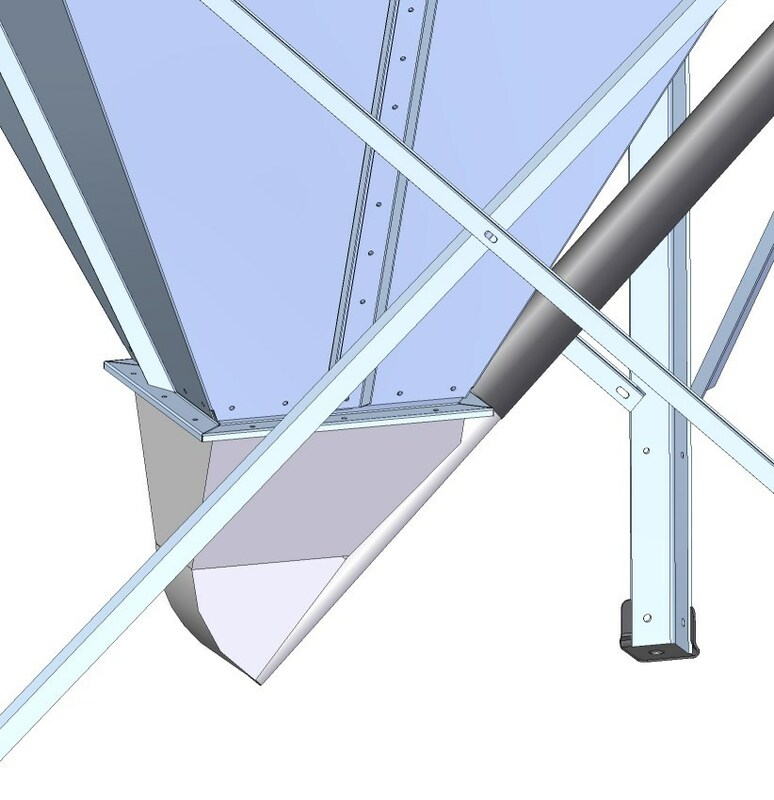 The Free-Flowing Adjustable Boot can be adjusted from 20° to 50° to meet your auger height requirement. 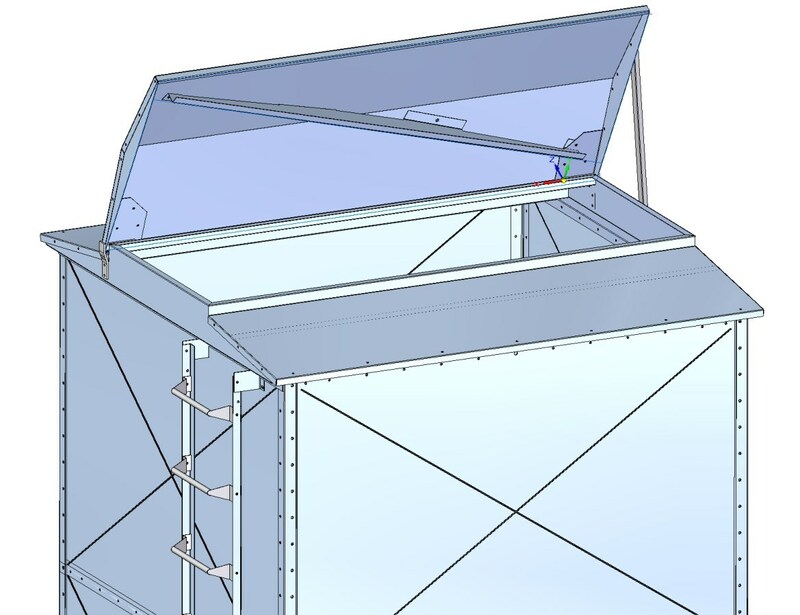 The lids on the bins can be opened or closed from the ground making them easy to fill. 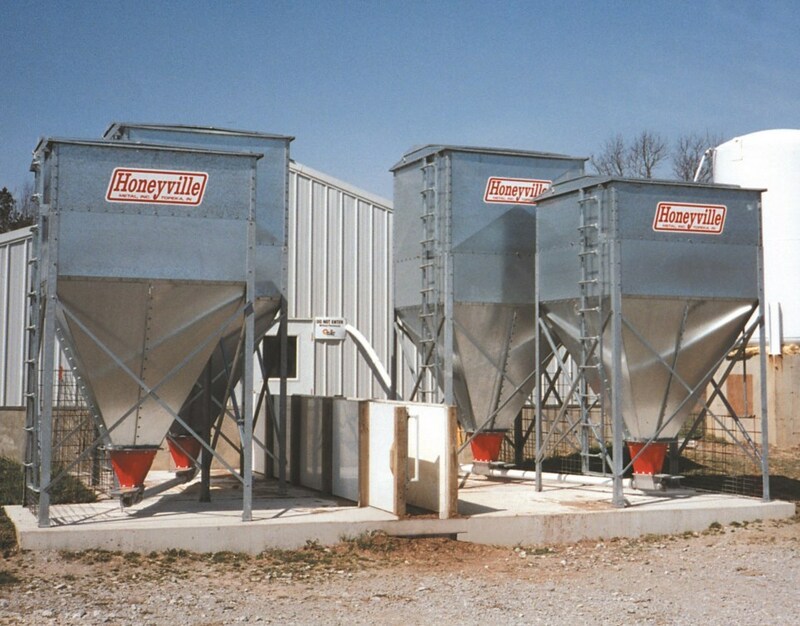 Honeyville Square Bulk Feed Bins can be set alone or put together for a multi-bin configuration. 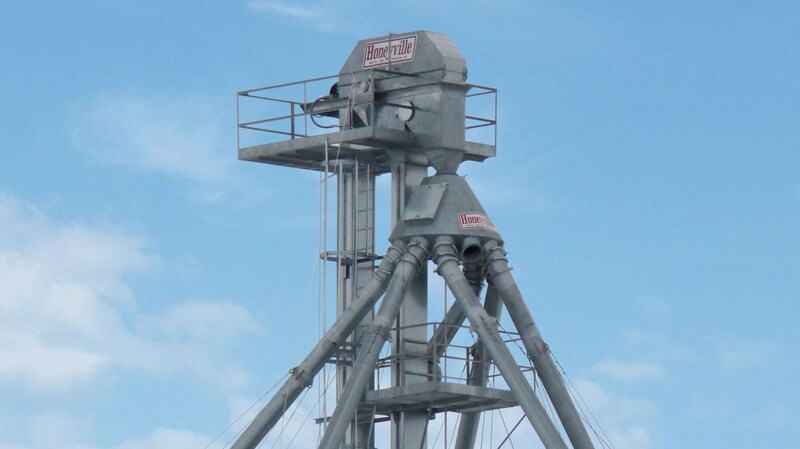 6FD3 3.5 Ton 75" 11' 5"
6FD5 5.3 Ton 75" 13' 5"
6FD8 8.3 Ton 75" 17' 5"
6FD10 10.0 Ton 75" 21' 5"